While we love scouting the trends for us, we also love checking out the cool/fun and functional products for our girls. 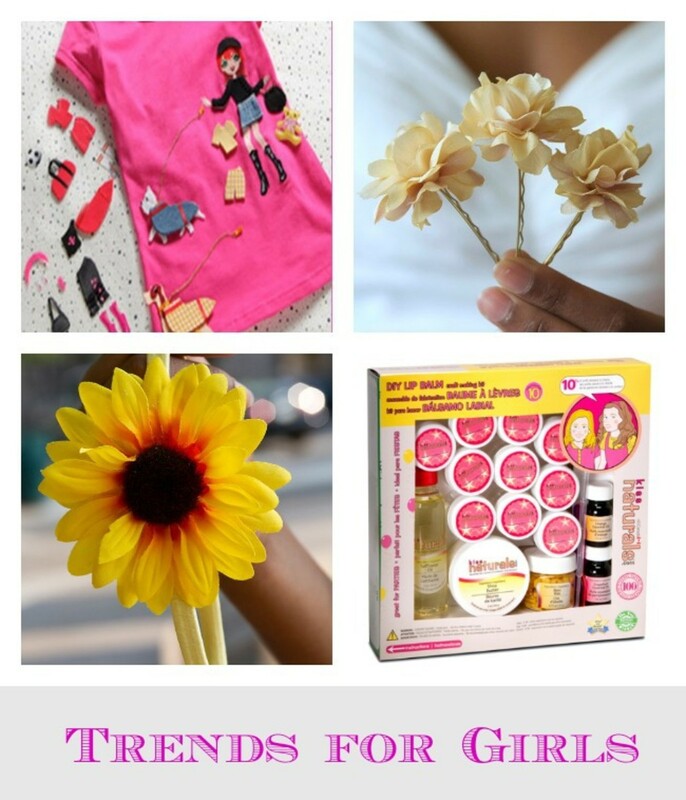 Here are a few of our favorite fun items your daughter will love. 1. Flowers From Fatima: We are loving the cute couture hair flowers and accessories for women and young girls from Flowers from Fatima. As a unique way to add some vibrant colors and dimension to any look, we love how feminine and special these headbands and clips are. Some of our favorites are the Champagne Blossom Bobbies, Double Blue Pom Pom Hair Flower and the Large Sunflower Headband. 2. Kiss Naturals DIY Lip Balm Kit: A super fun activity for tween and teen girls, we love Kiss Naturals homemade lip balms and glosses, soaps and perfumes offer kids creative hands-on fun. Made in Canada and featuring 100% natural ingredients in their purest form, the popular DIY kits have been recognized as best Green Toy, among other accolades by the Canadian Toy Council and Dr. Toy. Our favorite kit is the Kiss Naturals DIY Lip Balm Kit where you and your daughter can make high quality homemade lip balm. This includes a kit with pure essential oil where kids can add the natural scents such as shea butter, Safflower oil and Beeswax form the moisturizing and nutrient rich base to these easy to make lip balms; a dash of grapefruit and  or - orange add a revitalizing refreshing zest to the final product. A 10-pack DIY kit is available for a suggested retail price of $21.95. A five-set mini pack is also available for the suggested price of $13.95. 3. Sass Factory: We love the cute and fun shirts from Sass Factory that allow kids to mix and match the fun and sassy paper dolls on the cute Sass Factory Me-T. My daughter loved interchanging her Sassy character that was adhered to the shirt with a velcro and sticker material. Each t-shirt set comes with one outfit and a dog.